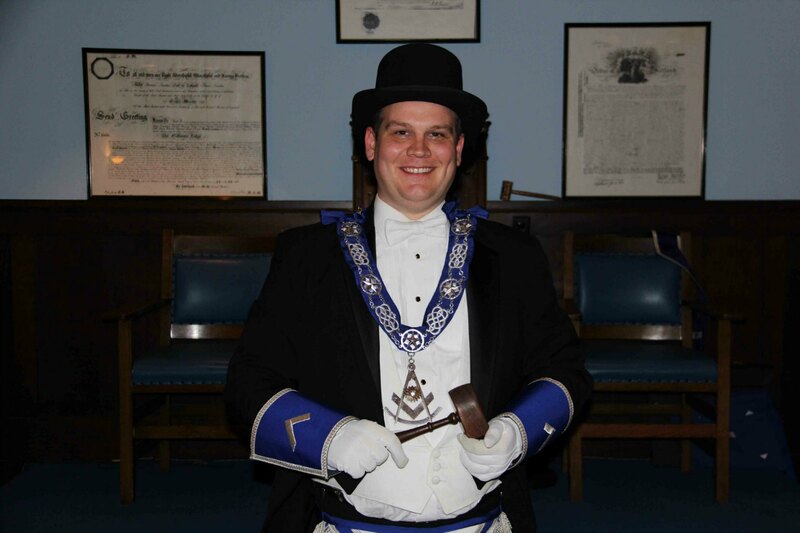 John Bradburne – ASHLAR LODGE, No.3, A.F.& A.M.
John Bradburne served as Worshipful Master of Ashlar Lodge, No.3 in 2015. 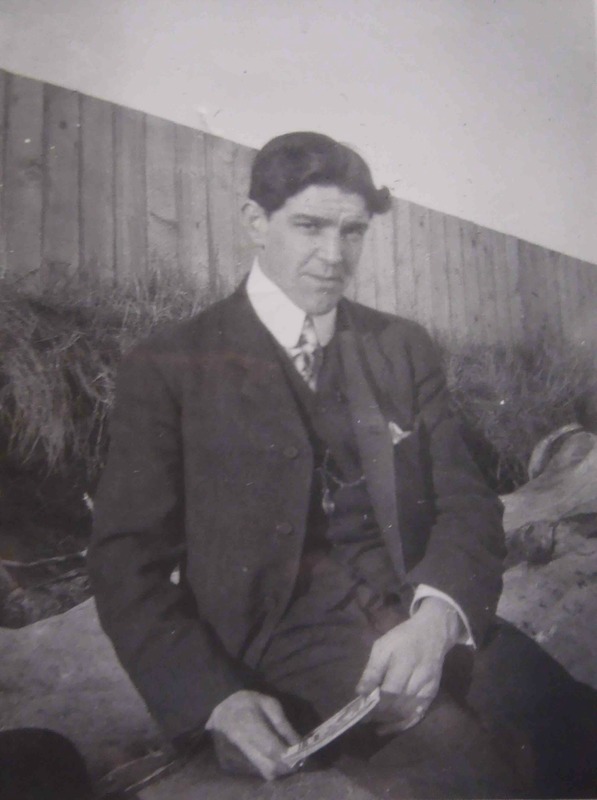 In December 2015, W.B. 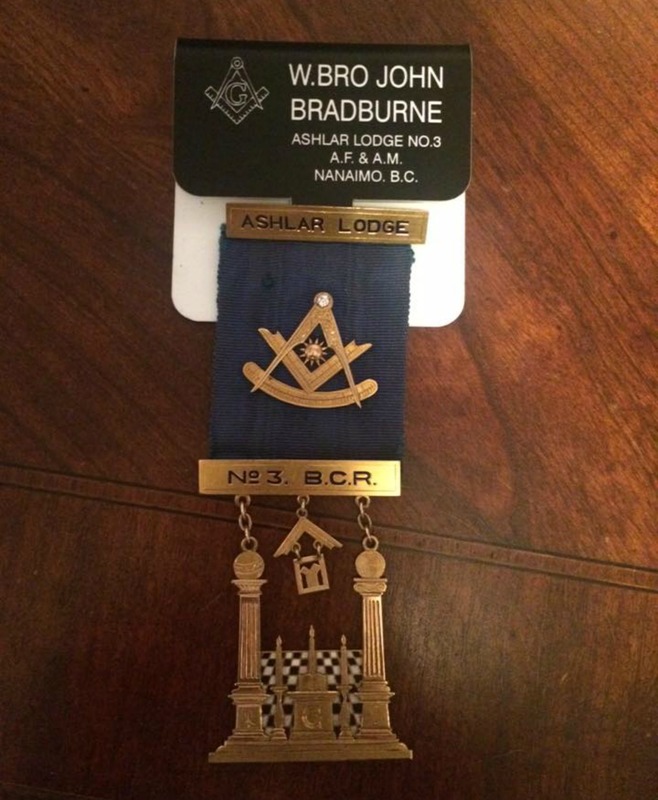 John Bradburne was presented with the Past Master’s Jewel originally worn by William Adam (1882-1958), who served as Worshipful Master of Ashlar Lodge, No.3 in 1914 and 1940.